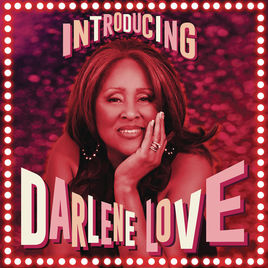 "Introducing Darlene Love". A tongue-in-cheek title from producer Steven Zan Zandt. Of course, this Rock n Roll Hall Of Fame member needs no introduction. The magnificent voice that gave us "He's A Rebel" and "Christmas (Baby Please Come Home)" is brought out of cold storage at the age of 74 by Van Zandt for this marvellous celebration of Spectoresque Asbury Park-ism. Kicking off with Van Zandt's "Among The Believers" (from his "Voice Of America" album) she actually brings a new power and attack to the song. Van Zandt's original vocal pales in comparison to Love's strident delivery. Next up is a song written by Elvis Costello, "Forbidden Nights" which sounds as if it is straight off "The Best Of Phil Spector". "Love Kept Us Foolin' Around" and "Little Liar" maintain the big production, orchestrated "Wall Of Sound" bombastic approach. No half measures here. There are multiple musicians on this album, including Bobby Bandiera and Ed Manion for Southside Johnny & The Asbury Jukes and backing vocalist Elaine Caswell from Jim Steinman's "Pandora's Box" project. Elvis Costello's "Too Soon To Know" (originally from "Brutal Youth") is sung as a duet with Bill Medley (of "Up Where We Belong" fame). Jimmy Webb's "Who Under Heaven" has a killer chorus. It has a strange orchestra/military drum bit in the middle, however. No problem. Darlene seems to cope admirably with whatever is thrown at her, returning to finish things off in style. The production on this one is pure Jim Steinman (although he was not involved). The first of two Bruce Springsteen songs is "Night Closing In" featuring E Street Band Member Jake Clemons on saxophone. It sounds like an outtake from the period between "Born To Run" and "Darkness On The Edge Of Town" in 1975-78. It wouldn't have sounded out of place ending up on "The River". "Painkiller" is a slightly funky rocker, it sounds a bit like some Southside Johnny album material, then we get the other Springsteen song, "Just Another Lonely Mile". The same description applies to this one as the first one. All horns and backing vocals to the fore. Van Zandt's ballad "Last Time" (previously covered by Gary "US" Bonds) is soulfully delivered. It suits her voice perfectly. "River Deep, Mountain High" is pretty much as one would expect. Meat and drink to a singer like this. "Sweet Freedom" could have been written for Southside Johnny. Just listen to the horn intro. This is one of my favourites. 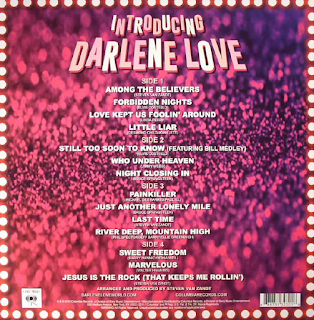 Darlene goes gospel for the final two tracks, possibly at her own request. Revisiting the church roots shared by so many of the greatest soul voices. The two tracks don't really match the rest of the album, slightly, but I'm not complaining. The sound on the album isn't as good as it might have been, to be honest, surprising as Bob Ludwig mastered it, but "wall of sound" - style productions never are. Van Zandt's albums aren't, ditto Southside Johnny's and some of Springsteen's ("Magic" in particular). 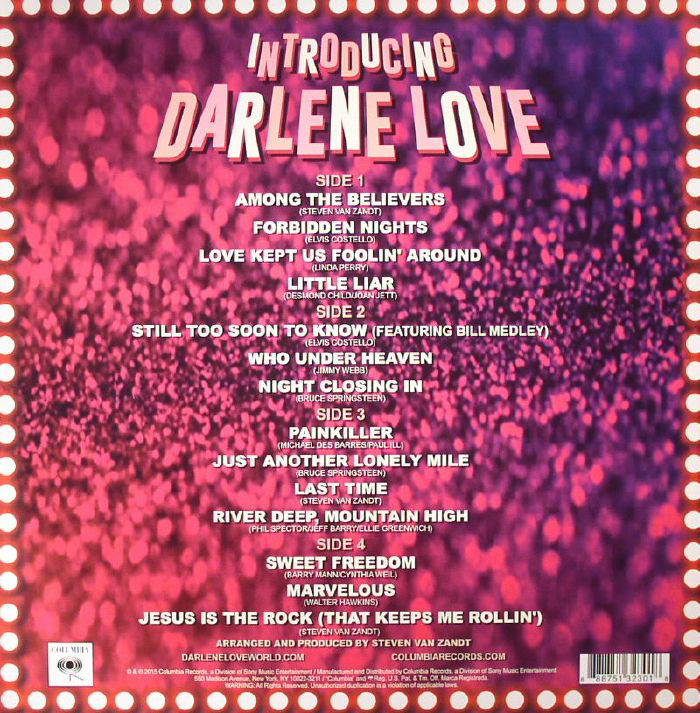 In a way it doesn't matter, Darlene's voice lifts us above that. She takes us on a train to glory.